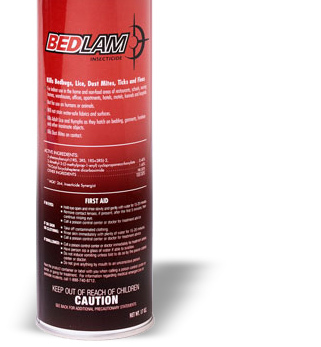 New Bedlam Plus features a dual mode of action that kills the toughest pyrethroid-resistant bed bugs fast. Featuring the perfect combination of quick kill and residual control, Bedlam Plus is proven tokeep killing pyrethroid-resistant bed bugs and their eggs for two weeks after treatment. Would you like to see the Bedlam Insecticide MSDS sheet? How about the Bedlam Insecticide Label? This product worked wonders for bird mites!!! I have never purchased a product that would kill them instantaneously like this in the 3 years we have been afflicted by them. Although the label says it is good for bedbugs, the active ingredients are what kills bird mites on contact!!! It only took seconds to work! FINALLY I HAVE RELIEF!